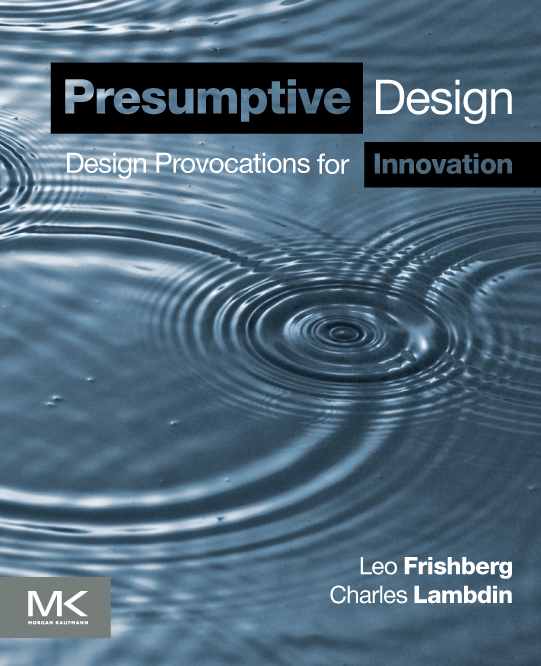 Presumptive Design is for people “inventing” the future: future products, services, companies, strategies, and policies. It is a design research method that reduces risk by quickly identifying key customer delights (and objections!) to your desired future outcome. The method is fast: it shortens time to insights from months to days. Presumptive Design is a fundamentally agile approach to identifying your audiences’ key needs. Offering rapidly crafted artifacts, your teams collaborate with your customers to identify preferred and profitable elements of your desired outcome. Presumptive Design focuses on your users’ problem space, informing your business strategy, your project’s early stage definition, and your innovation pipeline. Presumptive Design is a twist on the usual user-centered-design approach. Rather than starting your design process with a research effort, Presumptive Design begins by crafting artifacts. Contact us to learn how to apply the method within your organization. Get in touch to discuss talks, brown bags or webinars with your team. Contact us about speaking opportunities. Learn more about the workshops we run or Reach out to let us know you're interested. Contact us about facilitating a workshop.